On January 27, 2005 Simon Alcantara was awarded the Rising Star Award for Fine Jewelry from the prestigious Fashion Group International Inc. This was the eighth annual Rising Star Award presentation. Also on January 27th was the launch of Fashion Underground: Subway inspired accessories, and the concurrent auction to benefit the New York Transit Museum. This is collaboration between the Council of Fashion Designers of America, the New York Transit Museum and the MTA New York City Transit. The Show brings together nine of America’s foremost fashion and accessories designers, who have a collection of one-of a-kind pieces that celebrate the subway centennial. 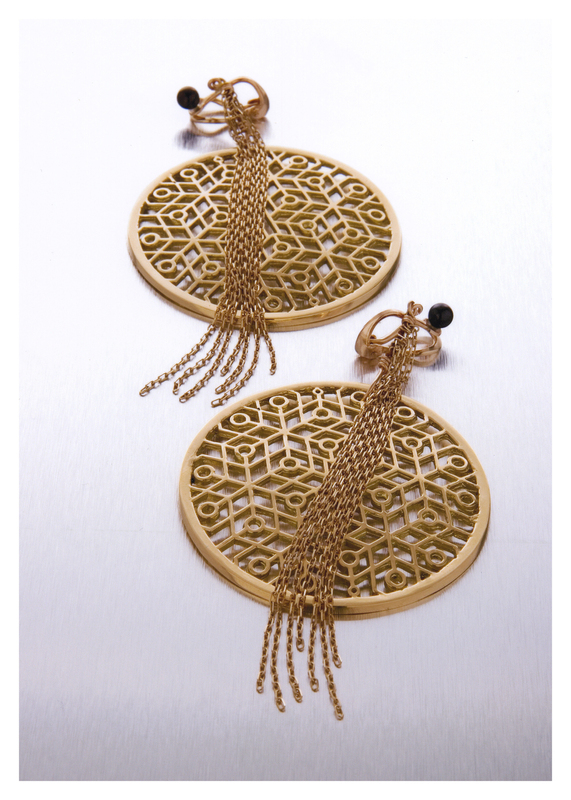 Alcantara designed a pair of earrings using 18k gold and 14k-diamond cut chains that incorporated design elements found in a wrought-iron subway grate. The project also included the design of 750,000 limited edition metro cards per designer that were distributed throughout the city.